Is there any place in US to get this ?? Can not find the original shower tap there. .. Yes, I have a picture off it, but dont know how too get it in here.. If you have a mail adress I can send you picture off it.. 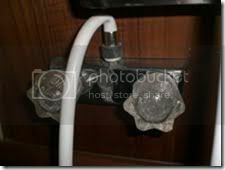 This is the image of the water tap. 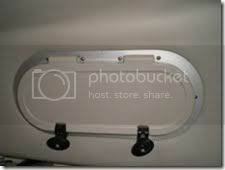 This is the image of the hatch that is also being sought. I don't know what kind of RV's are sold in your country but here is one from our suppliers. I have the same boat, same year. As dmcb showed in his link the mixer for the shower sure looks like a Phoenix design and Bayliner used a lot of Phoenix plumbing during that period. If you're able to find a part number from your mixer it might be easier to find an exact replacement. For the window, it's made by Bomar but that design is definitely obsoleted - I know because I called them about this last year. What's wrong with yours? Thanks folks.. Those are the same shower tap. I will order them .. There is nothing wrong about the hatch K├Ñre, its just that I only have one..